The combination of adding Kale to my shake as I listened to a detailed explanation of its harmful effects was the last straw for my interest in nutrition. After years of researching the best dieting practices, the only conclusive information that I could find experts agreed on was that vegetables were good you. If they could no longer even agree on this, I thought that it might be time to move on to other interests. For the next three years, I pretty much lost all interest in learning about nutrition and kept eating what seemed to be working for me. That was until I came across Joe’s latest podcast with Dr. Jordan Peterson. 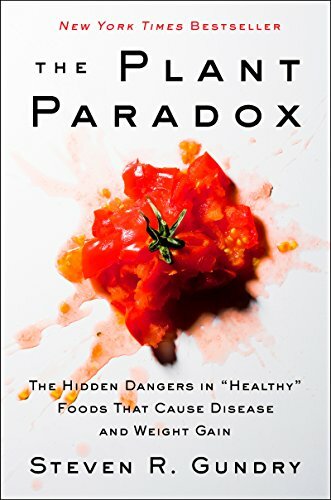 Dr. Peterson claimed to have cured a host of health issues and received many additional benefits from cutting his diet down to nothing but beef. After cutting vegetables from his diet, he said that "My gum disease is gone. My anxiety reduced by about 70%. I had floaters in my eye, those are gone. My legs were numb on the side, that’s gone. It used to take me an hour to wake up in the morning. Now I get six hours of sleep, I get out of bed, and I’m fine." His experience completely contradicted my knowledge that red meat was unhealthy and that vegetables were healthy. If his claims were true, then they would shatter my perception of nutrition, so I had to look into this more. It turns out that there are a lot of people who claim to have benefitted from eating nothing but meat. And after trying it myself, it’s impossible to deny the significant benefits I received. I thought these benefits probably came from eliminating toxic foods or from the placebo effect since I trusted Dr. Peterson’s claims. That was until I heard Dr. Peterson’s daughter Mikhaila, an advocate of the carnivore diet, tell Joe that when she reintroduced greens for just one day, her itching an joint pain immediately came back. This made me wonder if perhaps there really was a problem with vegetables themselves. It’s pretty clear that there are some plants that no one should ever eat. In fact, most plants are dangerous, or at the very least have no nutritional benefit when eaten. If you don’t believe me, try eating some grass or Poison Ivy. It is also pretty clear that some plants are harmful to some people. Some people will die if they eat a peanut whereas if I eat a peanut, nothing seems to happen. But just because it doesn’t kill me doesn’t mean that there is no toxic effect, and there is a compelling evolutionary reason why this would be true. This lack of communication results in a brain fog that affects our memory and focus. It explains why Dr. Peterson said that a carnivore diet helped improve his cognitive abilities. He claims that while following a diet, he was at his intellectual prime. My experience echoes his in that my productivity skyrocketed while eating nothing but meat. But are all plants just as harmful? And if so, why did our ancestors start to eat them? I’ll cover this in more detail in part two. In the meantime, stay tuned to find out what happens to my strength, body composition, blood markers, and productivity when I added vegetables and carbs back into my life while following a flexible diet.